NEWS: 27 December 2016 Happy winter holidays! 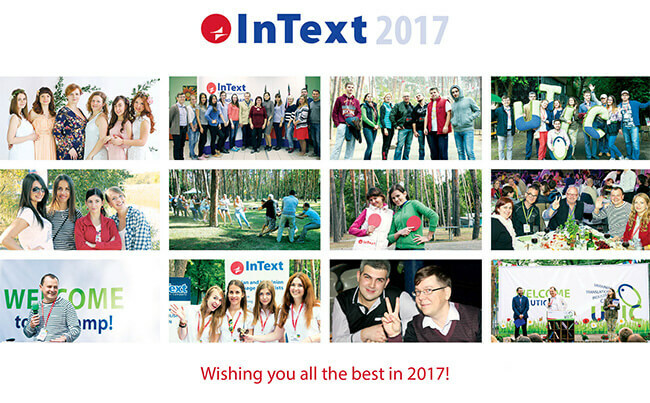 The InText team wishes you all the very best for Christmas and the New Year! Wishing you an unforgettable holiday season in the company of those you love, followed by a New Year full of dizzying successes and great achievements, family warmth and comfort, fascinating travels and exciting adventures! May good luck accompany you in everything you do! Thank you for 2016! See you in 2017!